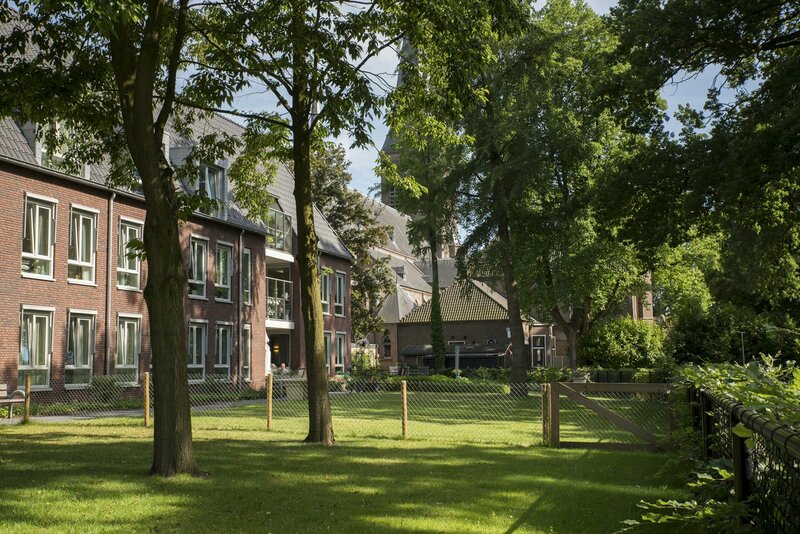 After Enschede in 1890 and Oldenzaal in 1895, in 1903 Delden became the third municipality in Twente with its own hospital: the St. Elisabeth Gasthuis, located just outside the historic centre of Delden. Over the years it was converted and expanded, but in the end it could not compete with other hospitals in the area. In 1963 the hospital was terminated and St. Elisabeth changed into a nursing home. Ten years later, the buildings were demolished to make way for a large-scale nursing home. 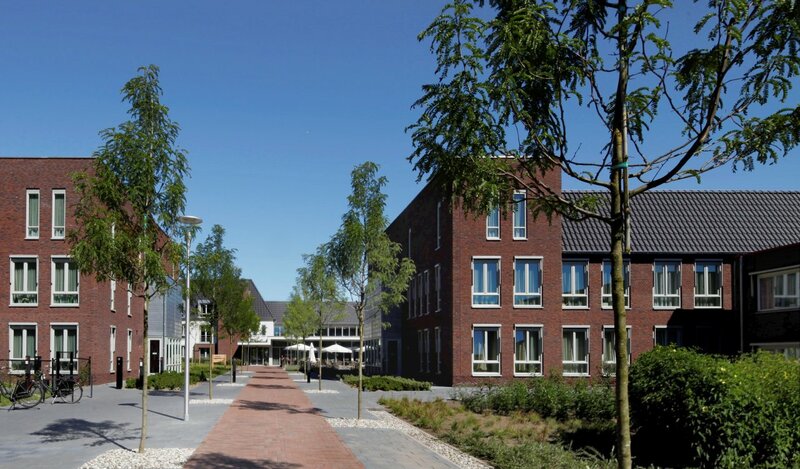 Around 2009, Carintreggeland - healthcare provider in Twente and owner of St. Elisabeth - developed four living concepts for existing locations and locations still te be built. With the aim to create a living environment for present and future residents in which they can remain independent and manage their own lives for as long as possible. In new locations the concepts are combined so that residents do not have to move, even if they would be better at home in a different living concept. 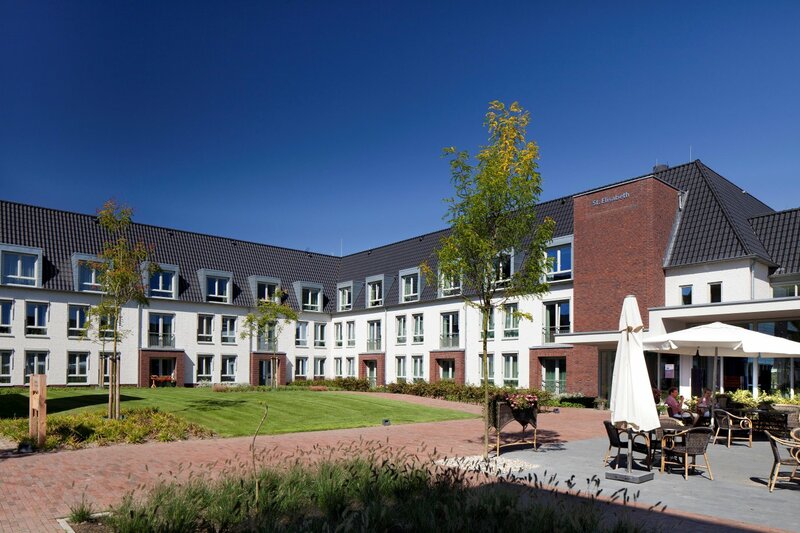 The living concepts proved not to be implementable at St. Elisabeth: in both functional and technical terms, the complex had become too outdated. 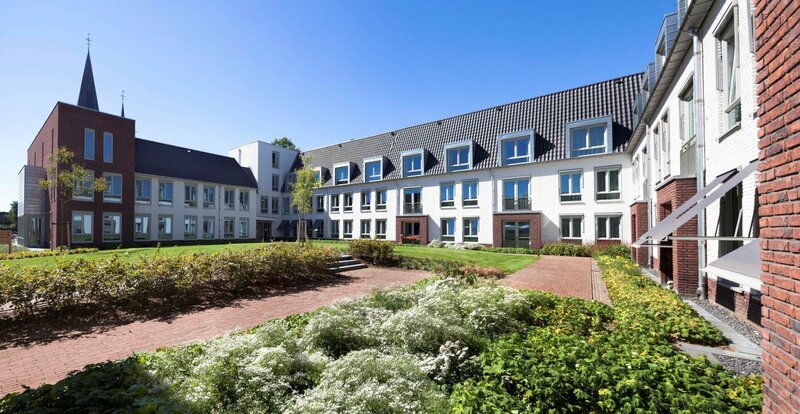 Carintreggeland then decided to replace the nursing home with a new construction, fitting into the historic surroundings of Delden. In the care complex, the emphasis is placed on living and a connection to the environment is consciously sought. 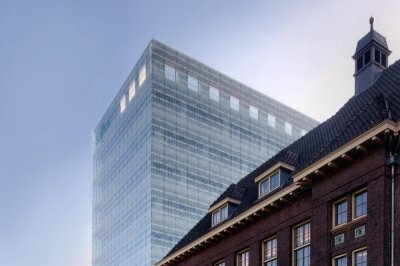 This has led to a development in a court structure in a maximum of two building layers with a roof, and the entrance at the Langestraat. 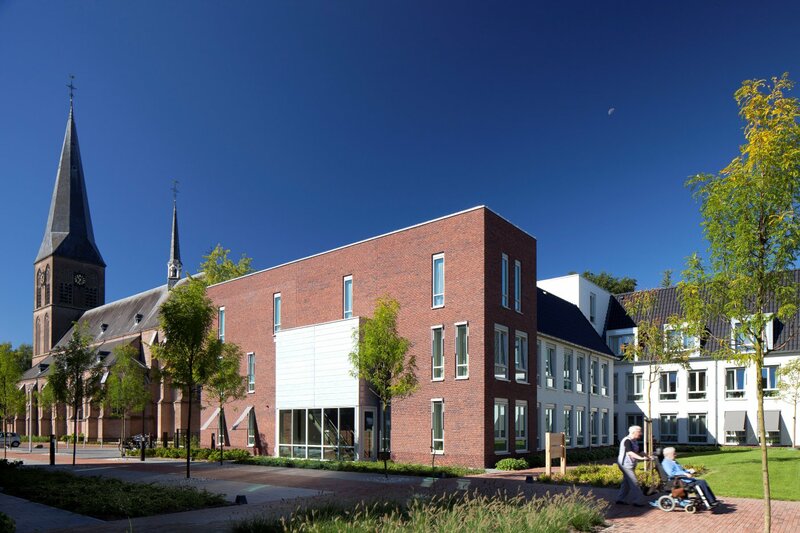 The design refers to a monastery, for which the Beguinage in Amsterdam served as an example. 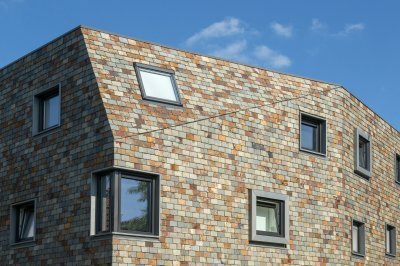 The complex accommodates small-scale housing for 40 residents with psychogeriatric disorders and 24 residents with somatic complaints. In addition, there are 24 places for rehabilitation on an outpatient basis. In order to be able to respond to changing target groups in the future, the design provides for the possibility to convert two adjoining nursing rooms into one care apartment. 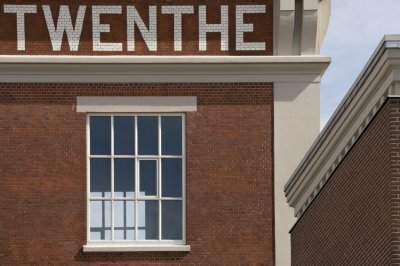 Just like the demolished old building, the new complex has a connection with residential care centre De Wieken, with which it shares social functions such as a restaurant, a shop and a hairdressing salon.